I know my claim is bold, but this really is the BEST Irish brown soda bread, in my humble opinion. Why? First off, it’s 100% whole grain. That’s right, not an ounce of the highly-processed white stuff. You can sub in half all-purpose flour if you prefer a little more fluff, but if you love the nuttiness and nutrition of pure whole wheat, then stick to my recipe. Second, despite being completely free of dairy and eggs, it has that perfect classic Irish brown soda bread texture. It’s lightly tender, but more on the dry and crumbly side with a delicious hearty crust. 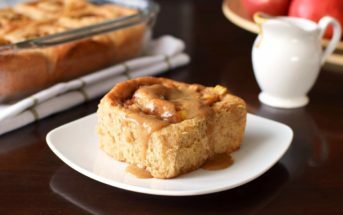 It’s amazing just broken off in chunks for enjoying with your favorite soup or dip, but it also slices nicely for breakfast toast (above as a round or below made into mini loaves). Third and finally, it’s super easy and fast! No kneading, rising time, or fuss is required. This brown soda bread takes just minutes to prepare and only 20 to 35 minutes in the oven. The Formula: Many of you already rely on the basic faux buttermilk recipe. For every 1 cup of buttermilk, place 1 tablespoon of vinegar or lemon juice in a measuring cup and add enough unsweetened milk beverage to reach 1 cup. Why it Works: The acid in buttermilk provides, above all else, tenderness, tang, and lift when used with baking soda in baked good recipes. The vinegar or lemon juice in the faux dairy-free buttermilk above provides an equivalent level of acid to ensure your recipe performs well, even without “the real thing”. The acid helps to tenderize the gluten for a bread that isn’t too tough. It also provides a very mild tang that helps to create full flavor with the use of less salt. And finally, in baking soda recipes like this brown soda bread, it reacts with the leavener to help in rising. As it does this, it also neutralizes the taste of the baking soda, which as some know, can easily overwhelm a recipe if not tamed. What You Can STOP Doing: Many dairy-free buttermilk recipes call for you to wait for the mixture “curdle”. This can cause frustration as some types of milk beverage won’t do a darn thing when an acid is added, while others can turn into a lumpy mess. 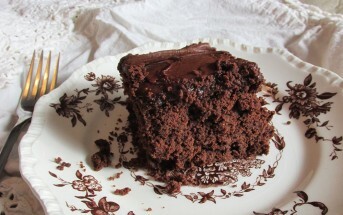 In reality, the curdling isn’t a necessary step for most recipes. Your using the milk beverage for the creaminess while the acid you are adding is doing all the heavy lifting, literally. It doesn’t usually matter if the two are curdled together before adding, as they will still function quite the same in the recipe. Yikes! It’s Curdling Chaos. What Do I Do? As mentioned, some milk beverages will look exactly the same after an acid is added while others may separate almost instantly. If it becomes too gloppy or clumpy, just whisk to smooth it out, or if needed, give it a quick blend to emulsify. Problem solved and recipe saved! Which Dairy-Free Milk Beverage is Best? Whichever one suits the flavor of your recipe! The ability to curdle isn’t crucial for most recipes using buttermilk, so what’s more important is that the flavor profile of the milk beverage you are using best suits your recipe. And while I recommend an unsweetened version to better mimic buttermilk (which is far from sweet! ), if a sweetened version is all you’ve got, and it won’t make your recipe taste off, then by all means, use it to make your dairy-free buttermilk. I like to use unsweetened almond milk in this Irish brown soda bread as its light nutty flavor compliments the recipe, but it works well with nut-free milk beverages, too. To get money-saving coupons for unsweetened (and sweetened) dairy-free milk beverages (almond, coconut, cashew, or soy! ), sign up for the Silk Newsletter. Choosing Your Acid: Any vinegar or citrus could work, but for the right flavor, white vinegar, apple cider vinegar, and lemon juice seem to produce the best results. From these, I would pick the one that best fits your recipe. For this brown soda bread, I like the complimentary flavor of apple cider vinegar, but white vinegar will work in a pinch. I’m actually still traveling, so no new recipe trials to report for the past seven days. You’ll just have to settle for this awesome brown soda bread recipe from my prior recipe tests for this week’s #365dairyfree update. By ingredients, this recipe is dairy-free / non-dairy, egg-free, optionally nut-free (use coconut milk beverage), peanut-free, soy-free, vegan / plant-based, and vegetarian. To make the dairy-free buttermilk for this recipe, I recommend signing up for the Silk Newsletter. In addition to recipes, they regularly send out coupons for the unsweetened milk beverage. Also, note that white-wheat flour is whole grain, it's just milled from a lighter grain than hard red wheat. Preheat your oven to 425°F and line a baking sheet with a silicone baking mat or parchment paper. Place the flour, bran, 2 tablespoons oats, sugar, baking soda, and salt in a mixing bowl and whisk to combine. Add the oil (solid or liquid) and whisk until well distributed and a coarse meal forms. Break up any sizable clumps. Place the vinegar in a measuring cup and add enough milk beverage to make 1 cup. Pour into the flour mixture and stir until a soft, slightly sticky dough forms. Dump the dough out onto your prepared baking sheet and with damp hands, shape it into a round. 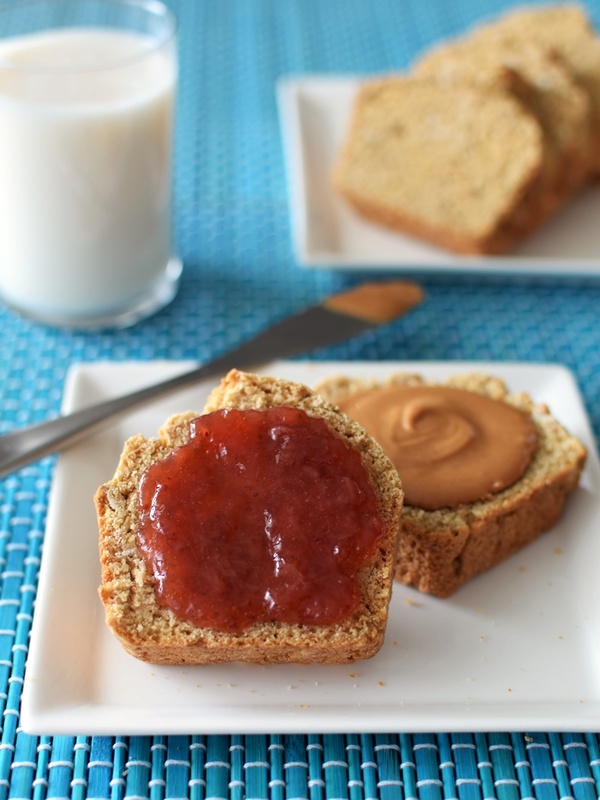 Cut an "x" across the top of the loaf (about ½-inch deep) and sprinkle the loaf with the remaining 1 teaspoon oats. Bake the loaf for 30 to 35 minutes, or until lightly browned. Mini Loaf Option: To make mini loaves, grease two mini loaf pans and flour the bottoms of the pans (double the recipe if using a four-well mini-loaf pan). Divide the dough in two (or four if making a double batch) and with damp hands, gently press it into the prepared loaf tins . Bake at 425ºF for 20 to 25 minutes, or until lightly browned on top. Let cool for 10 minutes before carefully removing to a wire rack. What if someone has to also live Gluten free and Dairy free, could I use oat flour instead of wheat? Or how would it work with brown rice flour? I haven’t tested the recipe gluten-free as of yet. Just swapping in one gluten-free flour with no added binders will likely result in really crumbly bread. Beautiful explanation of making buttermilk from non-dairy sources. I really appreciate your detail. I just use apple cider vinegar and wing it, but it is nice to know the how and why’s of it all. I’ve never had soda bread, but this looks really delicious, Alisa! 🙂 Might have to give it a try! You really should Sina – it’s so easy! 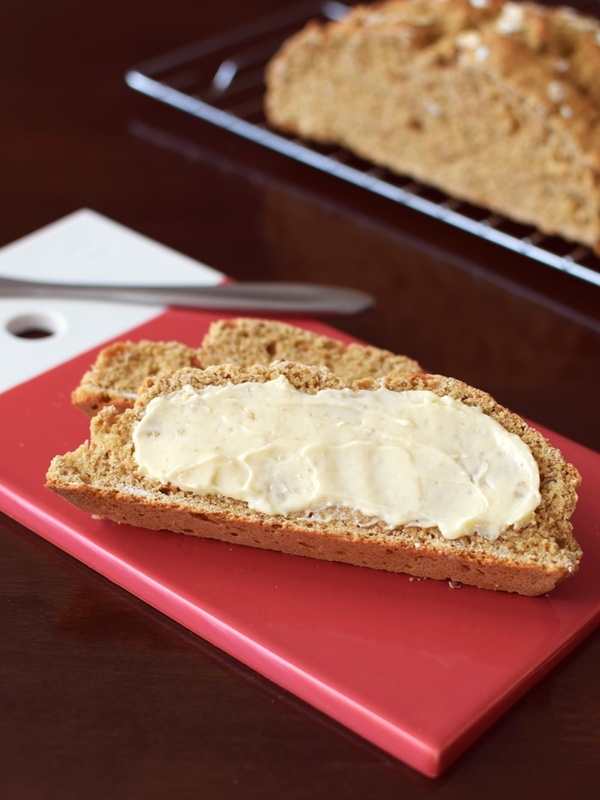 I love Irish soda bread and your tips to make it dairy free are so helpful! That was the goal! 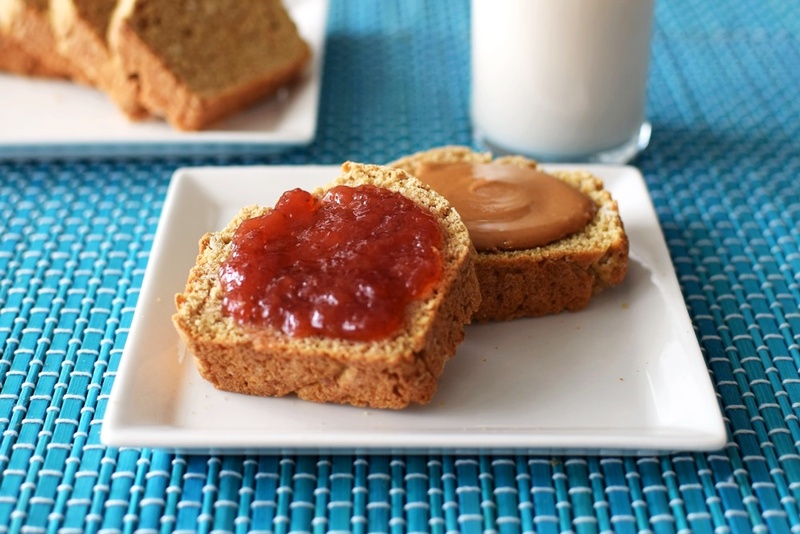 Most “brown” soda bread recipes are just part whole wheat – to me, that defeats the purpose! And I like my bread nuttier and more wholesome in taste. Great job at making this healthy! No-knead breads are so easy to make, who needs the store-bought ones? I’m thinking making a couple loaves at once and freezing the leftovers might be a good strategy for a lazy baker such as myself 🙂 Thanks for sharing! Thank Lucie! Yes, it freezes well, too. I’ve made several loaves at once. I actually like cutting it into thick slices before freezing so I can just pop a slice in the toaster! 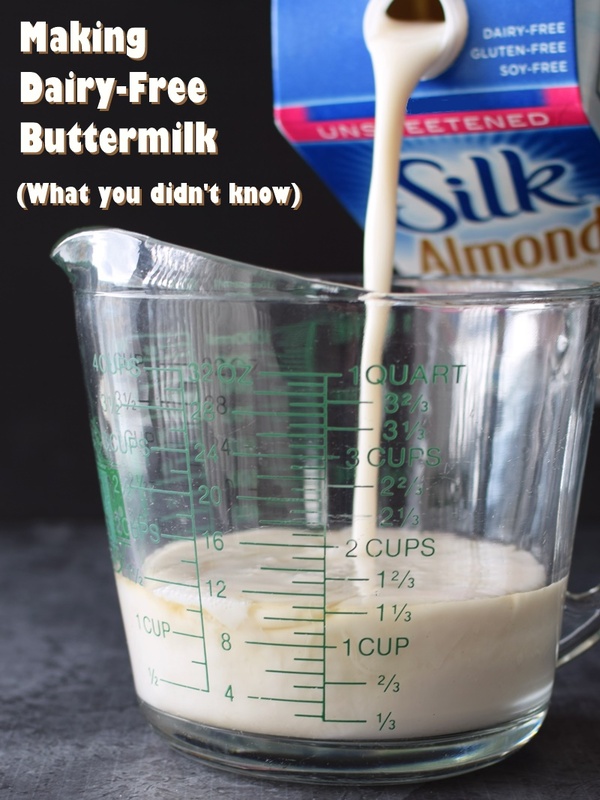 Great tips about making a dairy-free buttermilk! I have a gf biscuit recipe that calls for regular buttermilk so I’ll have to try this! Thanks Lauren! Yes, works like a charm in buttermilk biscuits. Hey Lauren, do you think I could have your GF biscuit recipe? I’ve never had soda bread but it looks delish!! And I’m loving that butter spread on it. I love that you covered all the bases with this post! Great info for those needing subs! Thanks Sophia – yes, it’s hard to resist a good buttery spread! Indeed, you do! 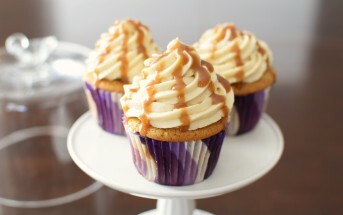 I hope you get the chance to enjoy this recipe Aimee. Haha, yes. Not only that, you don’t even have to add one to the other in most recipes or even at the same time! They really are two separate functioning ingredients. Looks wonderful! I love Irish Soda bread! And yes, it’s the easiest bread typically in the world to make since the classic is just flour, baking soda, buttermilk and salt…but I find it a bit plain. I’ve been working on perfecting my recipe the past couple of weeks. In fact, I just posted a pic yesterday on my FB page about it, because I was 95% close to perfection but it was still a tad too dry for my liking, but SO funny, I should send you a pic because my inside looks literally identical to yours but my ingredients are fairly different, lol. Yours looks delicious! Can’t wait to see your version! Yes, traditional soda bread is supposed to be more dry and versatile – like “biscuit” bread! But you can make it more moist with more of a traditional quick bread prep. I also find that a lot of Irish soda bread recipes don’t use enough salt! Salt is key to avoiding “flat-tasting” bread. I bet your recipe will be awesome though. You’re my kind of baker 🙂 Will definitely be trying some of your recipes, too! This looks awesome, and I love the tip on making buttermilk. I’ve always wondered whether the curdling actually matters or not! I usually shy away from bread recipes, but this sounds like it’s even easy enough for me to do! Like you, I love a hearty, whole grain bread. Sounds perfect! I hadn’t thought about making buttermilk with non dairy milk, but it makes sense! Thanks for the info on exactly how the acid does its magic. You’re welcome Dorothy! I think it helps to understand how the ingredients work, especially if you need to make substitutions. I’ve never attempted an allergy-friendly buttermilk, but I think I might try it now. Thank you for going into detail and explaining the process. This looks so delicious and healthy too! Thanks so much for sharing 🙂 Happy St. Patrick’s Day! So nutritious and filling for breakfast! Thanks Mary, Happy St. Patrick’s Day to you, too!